Today the holiday season is officially over for me. It’s time to take the decorations down and store them in the attic until next year. Although I love Christmas, I’m always happy to move on. I long for the predictably of a routine in my life again. As an artist, I literally crave getting back to the drawing board. I’m ready to wipe the slate clean and start fresh.. I know many women feel the way I do. After all, we are the magic makers. We own the task of making memories and are seldom acknowledged for our efforts. We begin December anticipating the cookie baking, decorating and gift buying, but by the time the 25th rolls around, most of us have had our fill. Although I’m weary of the hype and work surrounding the season, I’m not tired of the celebration’s reason for being. The birth of Christ changed the world. This is the time of year his presence is hard to deny. There is something in the air that makes the world softer and people kinder. 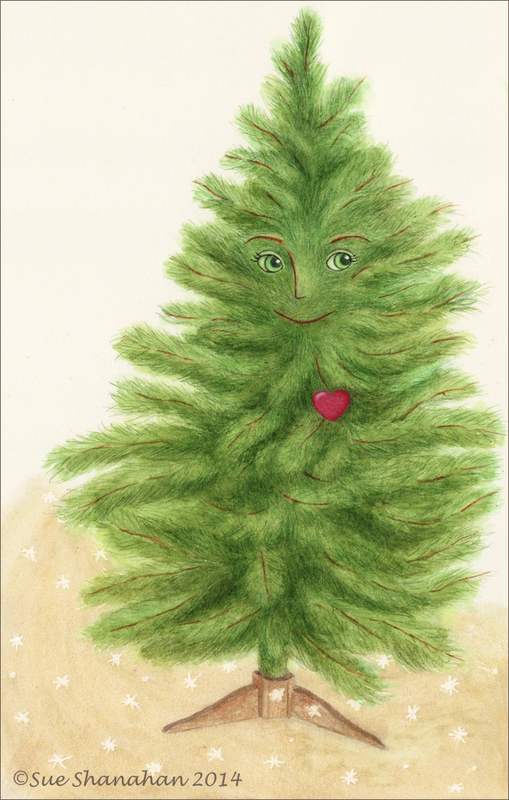 Some call it the Christmas Spirit, but I think of it as an energy field of love. Each January first, as I take our tree down, I’m reminded to let go of the past to make room for the new. When I pack up a box of vintage ornaments, there is one thing I’m always conscious about not putting on the shelf. That is the joy that Christmas brings, the heart of the season. Is it possible to carry it with me throughout the new year? Without a doubt. Gratitude is what keeps it alive.